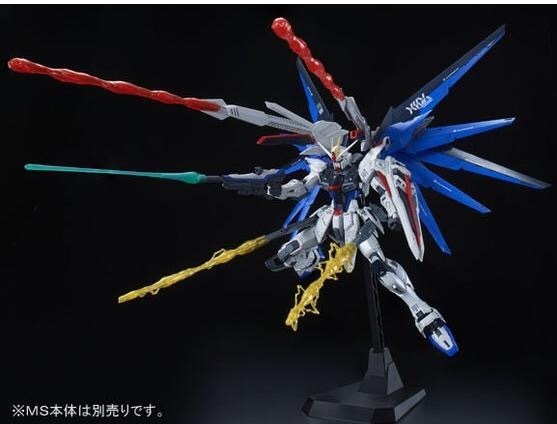 Now I know Bandai has plans to spam this ZGMF 2.0 frame over and over and do things we never got; and then when we get a MG Strike Freedom 2.0 they will probably do Wing of Skies Premium Bandai. 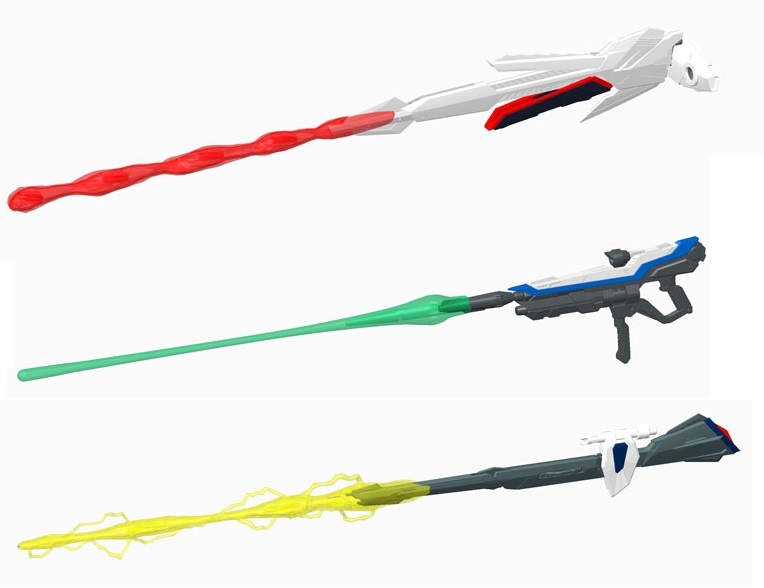 When we get MG Destiny 2.0, we will get Wing of Light effect parts via Premium Bandai. Should be a common knowledge by now. 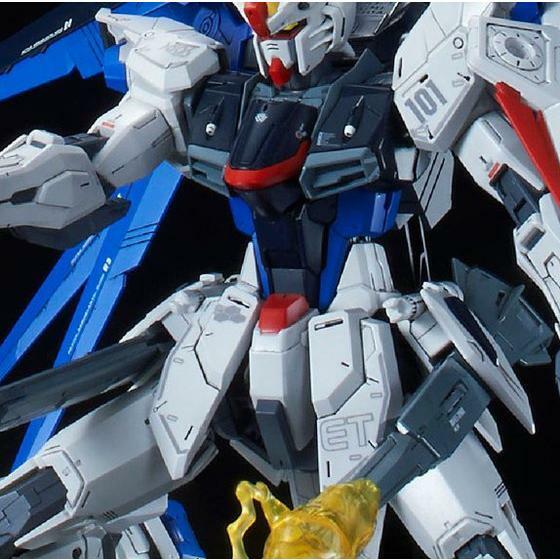 Bandai has already abandoned the 'special' regular release and make them P-Bandai. Lol? 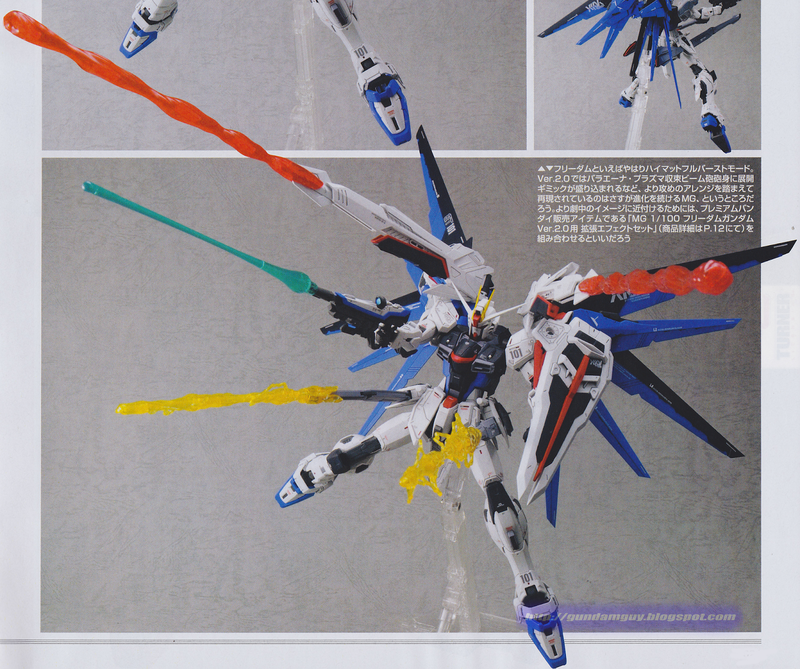 2000 yen for all of these effect parts??? Is Bandai drunk or something? Unless the thrusters have effect parts or the beams could extend at a respectable range, there's no way this would be a justifiable purchase. Also includes the waterslide decals. No thanks Bandai. 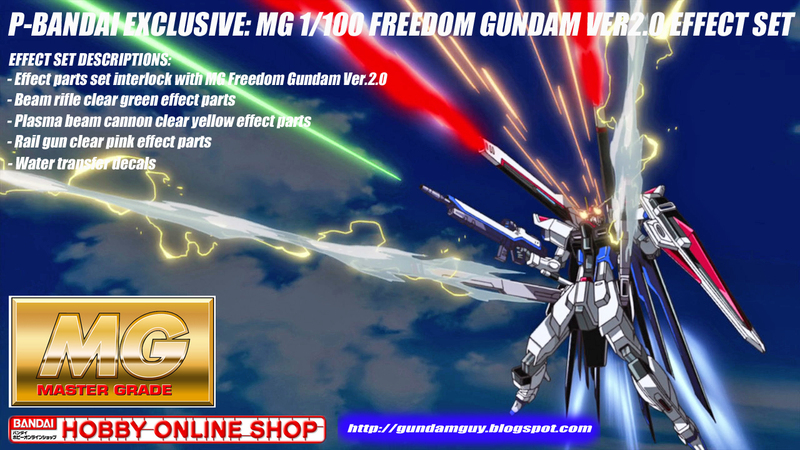 I'll just buy a MG Freedom 2.0. These effect parts are gimmicky and not worth the money. 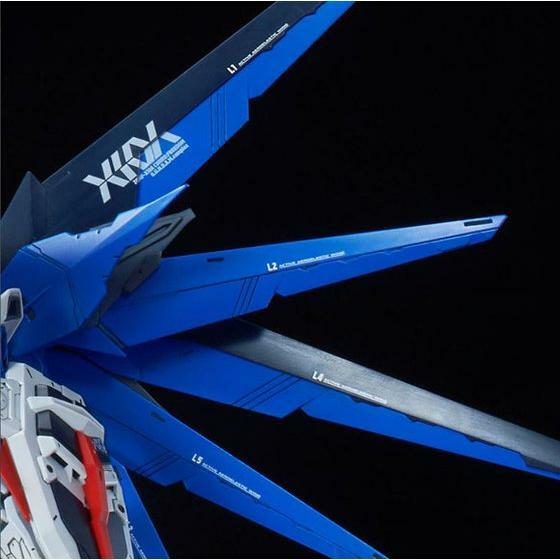 If anything, it should have been included with the kit like the MG Gundam Origins version. The red effect part looks like ketchup. 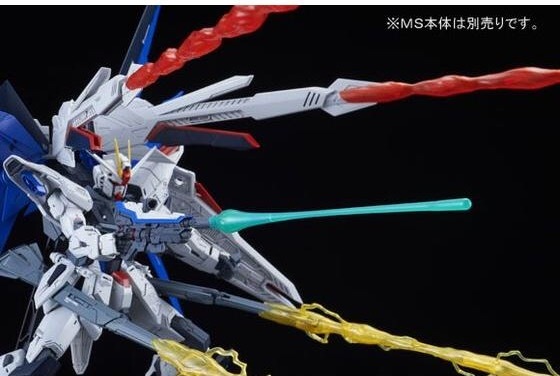 You know what I hate about this aside it being a P-Bandai? Those waterslide decals. WHy do they have to include the decals? Can't they just sell it separately? 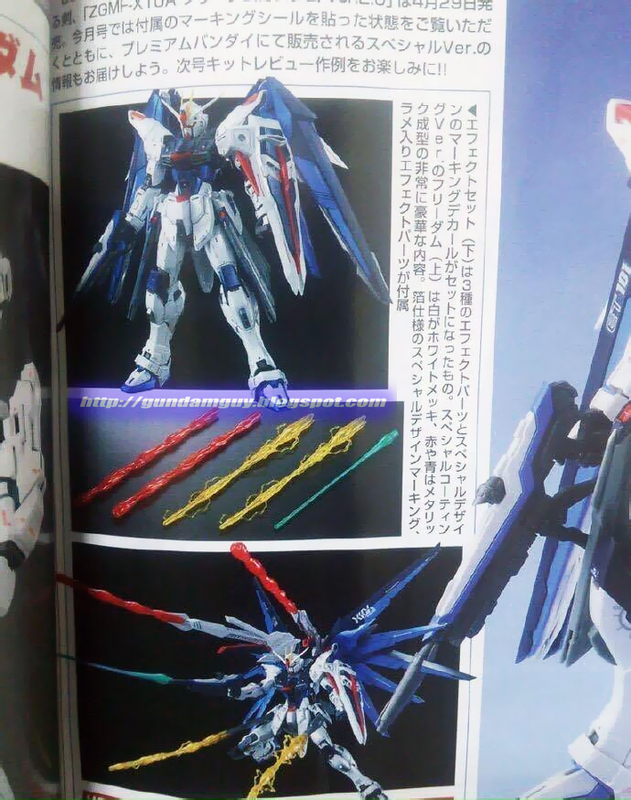 I'm not interested in those effect parts but I want those decals. 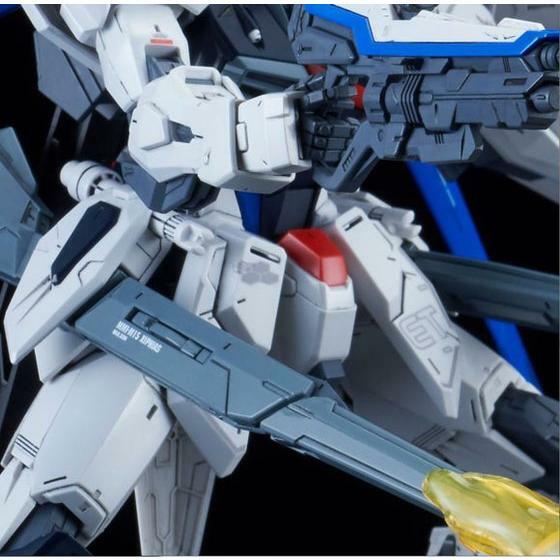 Man, Bandai! I only want the water slides. Dat Water slides sheet looks packed! 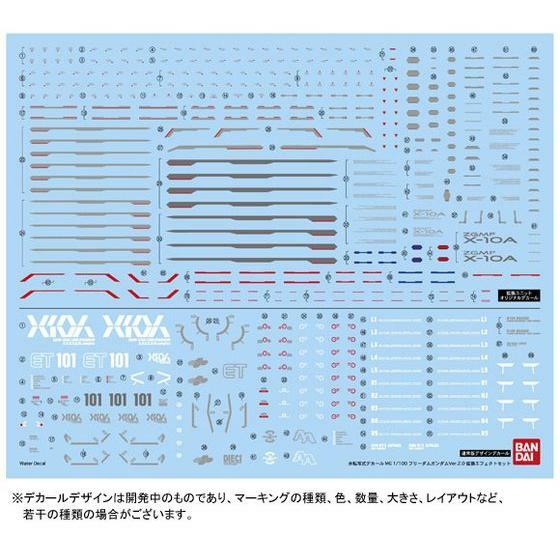 Dat water slide decal sheet looks packed!